This lively book with a funky format will help parents understand the strengths and vulnerabilities of their child, how to encourage and nurture them and help them thrive. Packed full of practical tips, the book covers a whole range of issues from toilet training and suitable activities for that child, to the best feeding and sleeping routines. 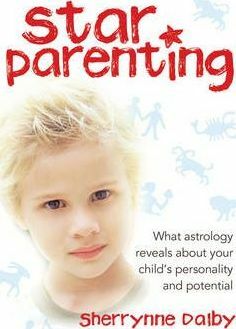 It will look at the compatibility between parents and kids, and where they will support each other, and areas they are likely to clash. Sherrynne Dalby comes with high credentials. This mother of 7, including a child with special needs, has been Mother of the Year twice. She writes for magazines, appears regularly on radio, and has spent many years public speaking. She has held positions on a number of national astrology boards and in an examiner for Australia.